A surprising number of Jura winemakers share family names. The list includes the Benoits (Denis and Paul et fils), the Boilleys (Joël and Luc), the Bulabois (Claude, Georges, Philippe and Régis), the Clavelins (Charles and Hubert et fils), the Puffeneys (Frédéric and Jacques), the Rolets (the eponymous estate and Gérard) and the Tissots (Jean-Louis, Jacques and André et Mireille). The Overnoys also belong on this list. The wines made by Pupilin-based Pierre Overnoy (and now his former assistant, Emmanuel Houillon) have long been favourites bordering of fetish objects of natural wine geeks. Also based in Pupillin, Domaine Overnoy-Crinquand has a somewhat lower profile but is something of a rising star. 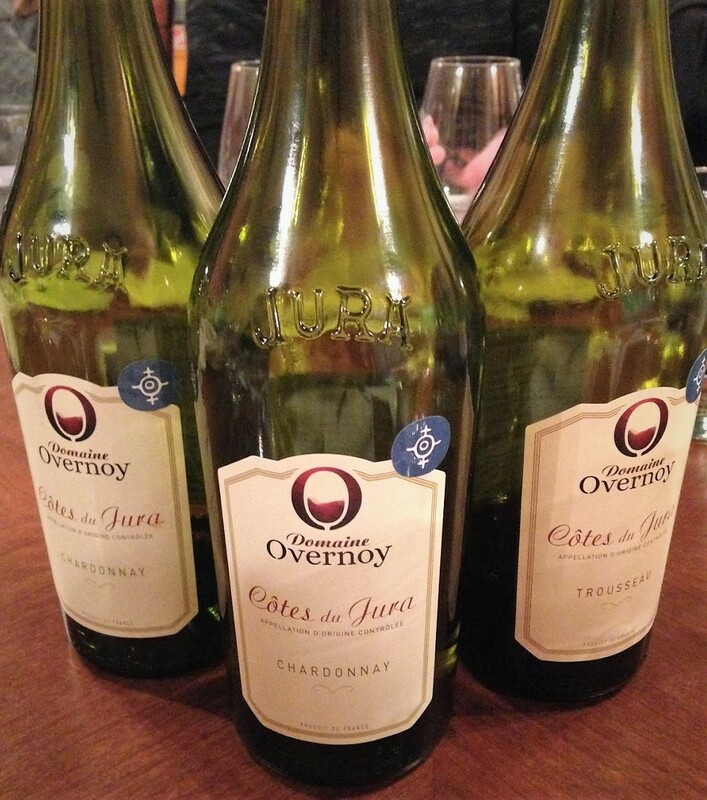 Until this fall, however, I didn’t know there was a third Overnoy estate: Domaine Overnoy, which is located further south, in the commune of Orbagna, and is currently run by 20-something Guillaume Overnoy, Pierre’s great nephew. Actually, Domaine Overnoy is a neighbour of Domaine Labet (both estates are in the Sud-Revermont region) and Julien Labet has been active in introducing the estate to agents he deals with, including oenopole, which is how the wines have made their way to Quebec. Guillaume took over the 5.5-hectare family estate from his father, Jean-Louis, in 2013. The following year, he began converting it to organic farming, obtaining certification in 2016. While Trousseau is the flagship, wines are made from all five official Jura varieties (the estate has 3 ha of Chardonnay, 1 ha of Savagnin and around 1 ha of red varieties, of which Trousseau comprises 55 ares, the rest being Poulsard and Pinot Noir). The soil tends to grey marl. Harvesting is manual. Wine-making is non-interventionist. Alcoholic and malolactic fermentations are spontaneous. In the cellar, sulphur use is minimal. All three wines we tasted were from the 2015 vintage. The last few vintages have been difficult in the Jura and 2015 was no exception, the main problems being excessive heat and drought. 100% Chardonnay from vines in an historic parcel. May be fermented in tanks and may be prevented from undergoing malolactic fermentation. In any case, the winemaker’s aim is for a fresh wine to be drunk young and not necessarily with food. 13% ABV. Quebec agent: oenopole. 100% Chardonnay from the Charmille lieu-dit. Slow alcoholic fermentation (more than 10 months). Underwent malolactic fermentation. Matured in fifth- to sixth-fill fûts. 14.5% ABV. Quebec agent: oenopole. 100% Trousseau. Probably destemmed. Matured in neutral barrels. 13.5% ABV. Quebec agent: oenopole.